Rockcastle Creek flows past residential homes and businesses along Route 3 in the town of Inez in Martin County, Ky. People in Martin County still don't trust the tap water. The water issues in Martin County are multi-layered and it's hard to pinpoint exactly when they started. 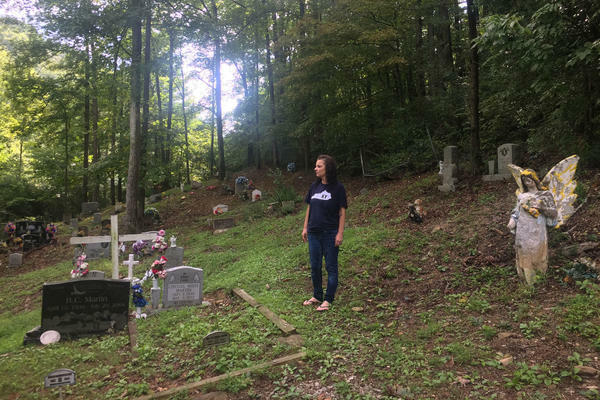 BarbiAnn Maynard walks between the headstones at her family's cemetery, pointing out her grandparents and her cousins. Her deep roots in Martin County are one reason she says she'll never leave, despite the lack of a reliable supply of clean drinking water. 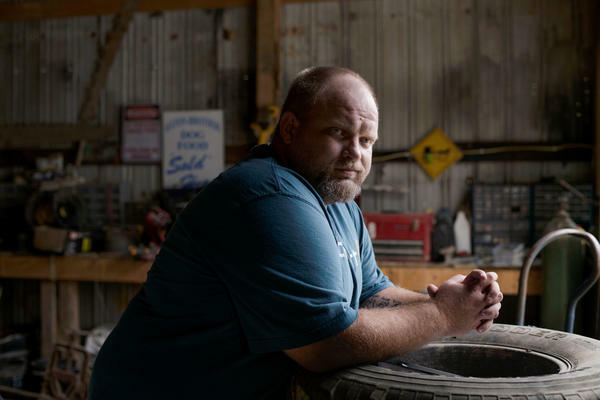 Gary Michael Hunt is one of Martin County's nearly 12,000 residents living with water issues. 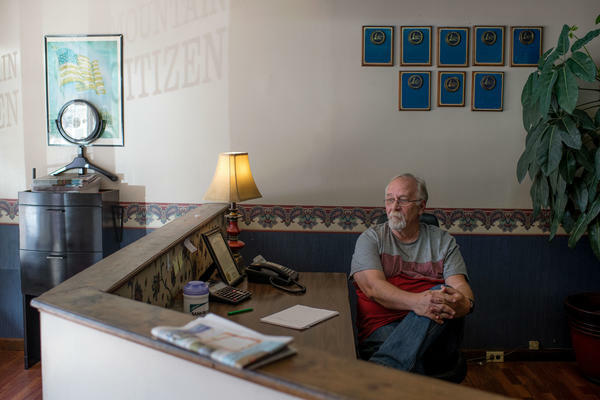 Hunt lives outside town on a mountain ridge and has outfitted a tank to collect water when the taps work and store it for when they stop working. He says his taps run dry multiple times a week. 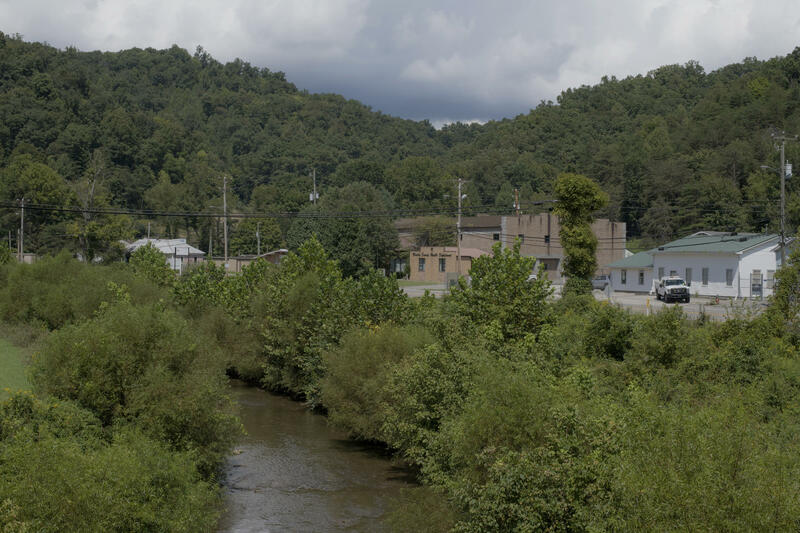 Rockcastle Creek flows past residential homes and businesses along Route 3 in the town of Inez, the county seat of Martin County, Ky. A giant coal sludge spill in October 2000 contaminated the county's rivers for miles, and locals still don't trust the water. In October 2000, an estimated 300 million gallons of toxic waste — including heavy metals like arsenic and mercury — flowed into Martin County's river system. 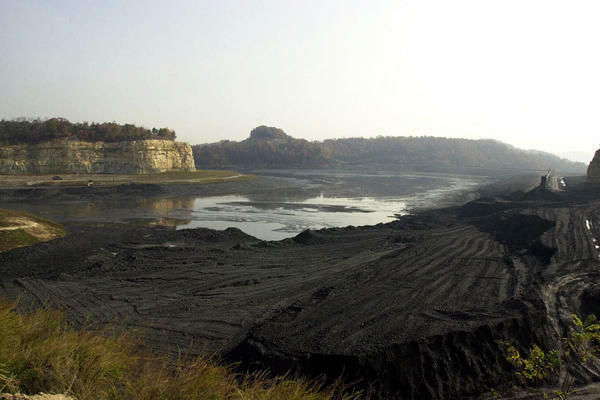 Here, the remains of a coal sediment pond that collapsed near Inez. Nina McCoy, a retired biology teacher, at Metrobilly's, the local diner she runs with her husband. They use bottled water in their cooking. McCoy started the Martin County Concerned Citizens group to address local water issues. 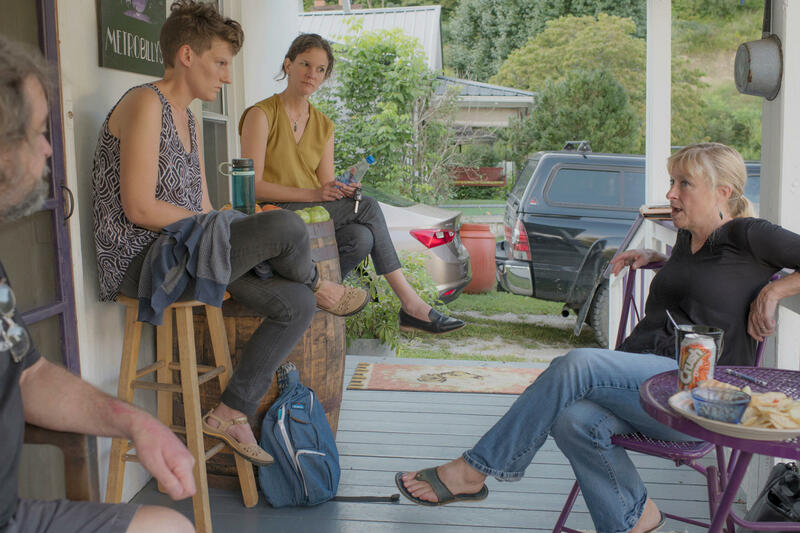 Mickey McCoy (from left), a local activist and Nina's huband; Ricki Draper, a fellow with the Appalachian Citizens' Law Center; Mary Cromer, a staff attorney with the law center; and Nina McCoy meet in August to discuss water issues in Martin County. Aleigha Sloan can't remember ever drinking a glass of water from the tap at her home. That is "absolutely dangerous," the 17-year-old says, wrinkling her nose and making a face at the thought. "You just don't touch that tap water unless absolutely necessary. I mean, like showers and things — you have to do what you have to do. But other than that, no," she says. "I don't know anybody that does." Sloan sits on the couch in her family's cozy two-story house, tucked back along winding rural roads in Huntleyville, Ky., near the West Virginia border. Her mother, BarbiAnn Maynard, 41, is in the kitchen, emptying out a plastic 5-gallon jug that she uses to fetch cooking water from a local spring. "You take it for granted until you don't have it," Maynard says about a clean water supply. "I think that's the attitude of a lot people right now, but I don't think they understand how close they are to it happening to them." 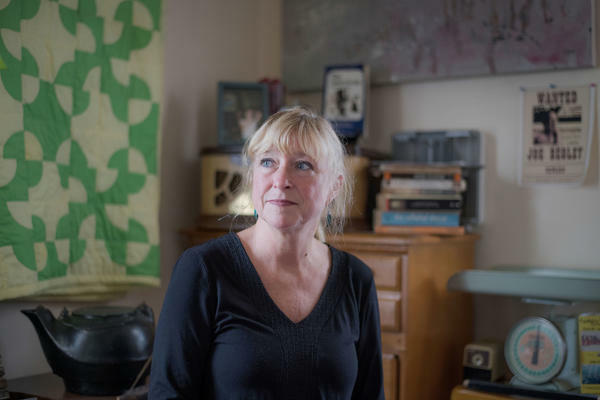 Americans across the country, from Maynard's home in rural Appalachia to urban areas like Flint, Mich., or Compton, Calif., are facing a lack of clean, reliable drinking water. At the heart of the problem is a water system in crisis: aging, crumbling infrastructure and a lack of funds to pay for upgrading it. A 2017 report by the group gave America's water systems a near-failing grade, citing an estimated 240,000 water line breaks a year nationwide. The Environmental Protection Agency estimates it will cost the country nearly $400 billion to fix the problem — a burden that would fall largely on average ratepayers who often don't have the extra money. It's a particularly heavy burden in places like Martin County, one of the poorest counties in the country. All of this is why Maynard's family doesn't drink the tap water. She says they spend about $30 a week on bottles of drinking water. That's on top of their monthly water bill — about $65 — for water used only for cleaning and flushing the toilets. "It's anything other than normal," Maynard sighs. "But it's our normal." The decades-long problems in Martin County illustrate just how complex the issues are. Leaks in the pipes that carry water throughout the county result in substantial losses of treated water — nearly 65 percent in 2016. And those leaks create a vacuum, sucking in untreated water from the ground that's subsequently delivered to people's homes. That's especially worrisome given the region's history of mining and industrial activities. In October 2000, a giant coal sludge spill dumped more than 300 million gallons of toxic waste — including heavy metals like arsenic and mercury — into Martin County's river system, which is also its main source for drinking water. Thick black sludge ran downstream for dozens of miles, spilling over onto lawns and roads. "The treatment plant operators can't control the quality of the water in the pipes if they cannot keep the pipes intact," Brion says. "This is really not on the water quality coming out of the plant. It is on what happens to the water as it goes through this leaky straw." The Martin County Water District, the private utility that manages the county's water, reported 29 line breaks in 2017 and advised residents to boil their water in case of contamination. There have been a slew of other infrastructure-related issues — like failing intake pumps struggling to fill the reservoir. The utility spent hundreds of thousands of dollars in September to rent a pump in hopes of fixing the problem, but it wasn't enough. The water level has gotten so low that the utility board recently declared a state of emergency, warning that the system was near collapse. There's a real chance the county could run out of water. Its recommendations have ranged from basic maintenance improvements to better money management to improved water testing — and were mostly not implemented. Since the Martin County Water District is privately owned, it falls largely outside state jurisdiction: Aside from investigations, recommendations and fines, there's little that state governing bodies can do. This time around, Mary Cromer, a lawyer from the Appalachian Citizens' Law Center, has stepped in to represent the citizens of Martin County pro bono. She travels regularly to the county seat, Inez, where McCoy lives, to help organize local residents. The region's century-long reliance on the coal industry is one issue, Cromer says, but not the only one. "This isn't just confined to Martin County. This isn't just confined to Appalachia. We have dilapidated infrastructure all over this country," she says. "And so if you're going to have rural areas that are going to survive, much less thrive, you've got to pay attention to these critical infrastructure needs." But the fixes all require money, and the utility is more than $1 million in debt — and it will need millions of dollars to upgrade the system. That's money Martin County simply doesn't have. 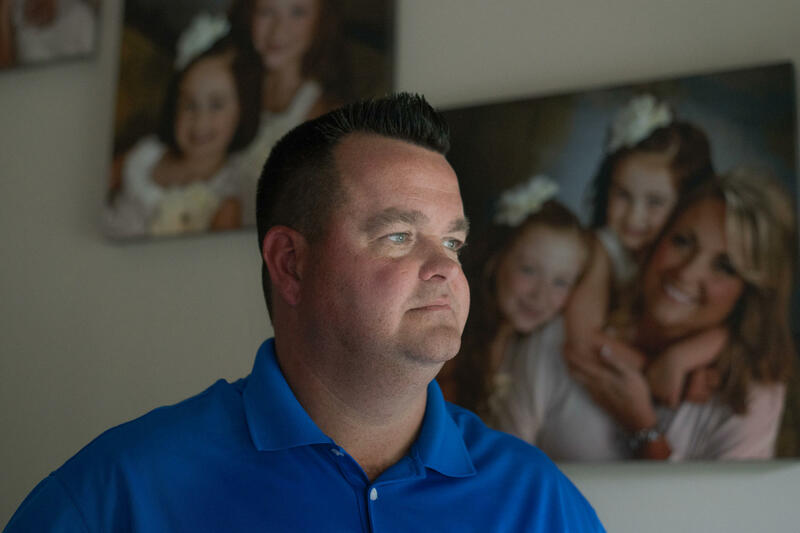 Jimmy Kerr, the board's new treasurer, took on the position because he wants to make the county better for his two daughters, but he says it is a daunting task. "If we don't get our finances in order, we will never be able to give the people of Martin County the water that they want," Kerr says. The Martin County Water District recently received nearly $5 million in federal grant money, but it's not enough. Now it's looking to raise rates dramatically, something that — aside from some temporary rate hikes to cope with emergency situations — hasn't happened in years. The utility has asked for a nearly 50 percent permanent rate increase, which has left a lot of residents angry. "I know who I'm hurting. But there's no one coming in on a white horse to save us," Kerr says. "The people of this county did not create this mess, but we're the ones who are going to have to fix it." That's one thing that many in Martin County seem to agree on — that the residents are going to have to dig in and keep working to fix the water problems here. "Back here is my mommy, and hers is the prettiest, most fancy one here," she says. Maynard points down the sloping hill to a corner under a tree. "And I wanna be down there by that rock. Daddy will be right there. My kids will be right there." "There's no price tag you can put on that," she says.